(EN) In the quiet suburbs of Romania’s sprawling capital, inside an ordinary turn of the century home, a workman sits at his workbench. (EN) The sun is fading outside, and his half drunk tea has grown cold from neglect. His eyes watch closely as his hands and tools turn white-hot coils of frenzied metal. There’s an old lamp at the edge of the table, and small drops of silver flicker and shine like moon lit ripples on a darkened pond. (EN) Thank you, Radu, for showing us your art, and Meșteshukar ButiQ, for supporting Roma craftsmen. 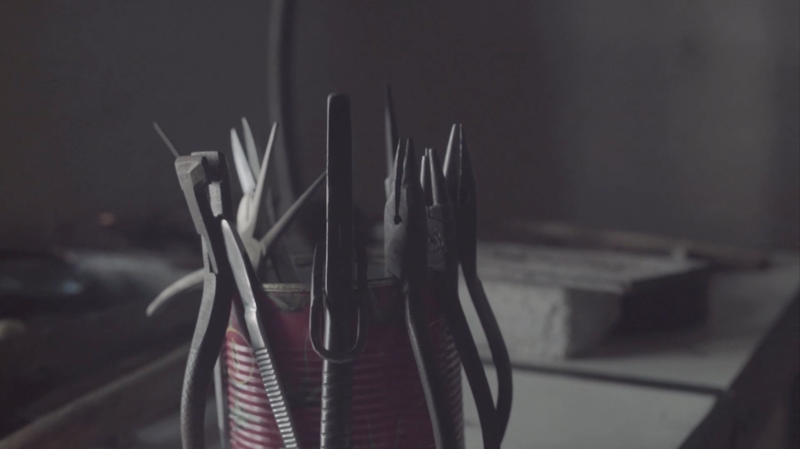 This video was filmed by Matei Pleșa for a personal project called “Fascination of the Craft” — find out more on his website. Interested in craftsmen? Check out our FvF Crafts series, or read more about Romanian creativity.